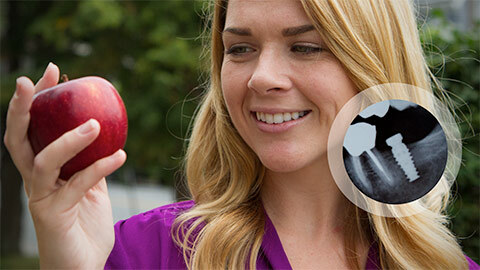 Langley Dental Implants | Aspirations Dental - Dr. Dale Machine Inc. If you've lost a tooth, or if you require dentures, dental implants are an option you may want to consider. Implants are artificial tooth roots that are placed in your jaw and which provide a stable, strong, long-term foundation for replacement teeth and dentures. Replacement crowns or dentures mounted to implants are strong, won't shift or come loose, and function like normal teeth. 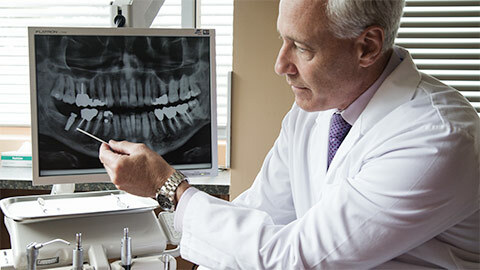 In addition, implants prevent the deterioration of your jaw that occurs when a tooth is lost. Dental implants consist of a titanium appliance with a shape similar to a typical screw. They are placed in three appointments. In the first appointment we drill a hole in your jawbone, place the implant in the hole, and then leave it there to heal for a time. After the implant has healed, you return for a second appointment. In this appointment a post called an abutment is attached to the implant and impressions are taken for your replacement tooth or teeth. On the third and final visit, your crown is attached to the abutment. 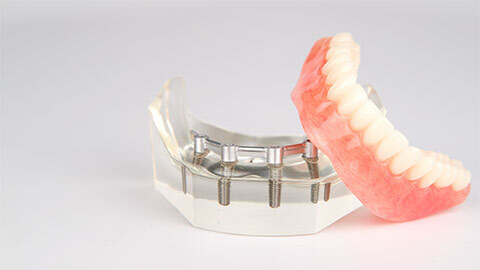 If you are getting dentures, multiple implants are used and a fixed bridge, containing one or more replacement teeth, is attached to the implants on the third appointment. With care, dental implants form a virtually permanent artificial root that provides a strong foundation for replacement teeth.Contact our office today to learn more.